Genetics, trauma and aging can contribute to stretched earlobes that appear misshapen. You may find that this is undesirable in appearance. Dr. Leila Kasrai can fix aesthetic concerns of the earlobe with a customized procedure. The shape and size of the lower part of your ears, specifically your earlobes, contributes to the overall aesthetic of your ear. According to the study, Morphometry of the adult human earlobe: a study of 547 subjects and clinical application, men and women over the age of 20 years old have an average earlobe length of about 1.97 cm to 2.01 cm. The left is generally shorter than the right, making asymmetry normal. The average earlobe is relatively flat and a little plump. But your earlobes don't share these characteristics. These issues may not be damaging to your physical health, but they can definitely affect your appearance. More importantly, they're damaging to how you perceive yourself. Reshaping and resizing your earlobes can be safely done with loboplasty, a type of otoplasty. Loboplasty is the technical term for earlobe reshaping/resizing surgery. I regularly perform this surgery on children and adults who have an undesirable earlobe appearance. In adults, common reasons for the surgery is ptosis (sagging) caused by aging. Results improve their earlobes, giving my patients the normal appearance they want. For simple correction, your treatment may only take 15 to 45 minutes to complete. Extensive correction can require up to an hour or more. Usually, this is necessary if cartilage is affected. I've performed thousands of otoplasty procedures since I became a board certified plastic surgeon over 15 years ago. My patients include both children and adults. I continue to perform at least two otoplasty procedures a week to deal with aesthetic concerns affecting the ear that were present at birth, or developed later on. For this reason, it's fair to say that I am currently the most experienced board certified plastic surgeon in the city when it comes to ear surgery. This procedure is usually performed under local anesthesia. Children may need general anesthesia. Simple tears and large holes can be easily corrected with sutures. For enlarged earlobes, I place an incision that allows the removal of excess tissue. The incision is then closed and dressed. If your earlobe needs to be reconstructed, tissue may be borrowed from another location and attached to the defective earlobe. Earlobe reshaping and reduction surgery is usually a minimally invasive procedure that doesn't involve a lengthy recovery period. Swelling and discomfort are minimal, so you'll probably be able to see your expected results immediately after surgery. You may be able to return to your daily activities within a day or two, as long as you take care not to apply pressure or rub your earlobes for a few weeks. You can repierce your earlobes once you've recovered from your treatment, which is usually in two months or so. Most of my patients are pleasantly surprised that in just a few minutes, their earlobes can be reshaped and/or resized to create the aesthetic outcome they've wanted for so long. They often regret not having had it done sooner! Earlobe reshaping is a type of otoplasty procedure that modifies the shape and/or size of your earlobes. It is usually to reduce the size of larger or stretched earlobes. This is done by removing excess tissue. Usually, only local anesthesia is necessary. For children, general may be used. I have a tear in my earlobe. Can this be repaired? Yes. Split earlobe repair is a common procedure that I perform. It is usually fairly straightforward and requires only local anesthesia. I can fix tears of the lobe that are partial, or straight through the lobe. Can fat earlobes be slimmed down? Can you fix holes from gauges? Yes. The procedure may be a little more difficult to perform, but it is still possible to do. Can stretched earlobes go back to normal? Unfortunately, once the earlobes are stretched out beyond a certain point, it is not possible to get them to retract except with medical intervention. Can you fix stretched earlobes? Can stretched earlobes be fixed? How to fix stretched earlobes? Absolutely! Stretched earlobes can be repaired with earlobe reshaping surgery. The procedure tends to be straightforward, particularly for a board certified plastic surgeon experienced in cosmetic ear surgery. Usually, it takes about an hour or less. Earlobe reshaping does not require much time off. You'll be able to get back to work within a day or two. When can I get my ears pierced after surgery? You'll need to wait about two months before piercing your ears. This is to allow your lobes to recover from the trauma of surgery and for the incisions to heal properly. Generally speaking, the earlobes heal very well after surgery. Scarring is usually barely visible. 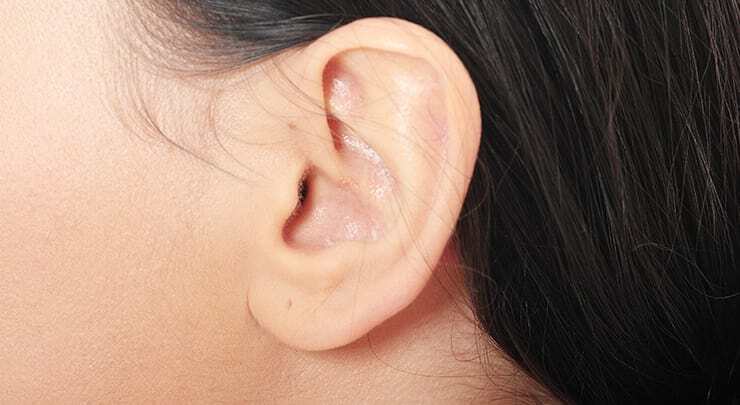 For split earlobes, the scar may run through the height of the earlobe. I have a history of keloids. Can I still have surgery? Keloids are when your body creates too much scar tissue. The scarring usually extends well beyond the incision. It may be bulky, discoloured and sometimes irritating or painful. If you have a history of keloids, please let me know during your consultation. I will design your surgery to reduce the risk of this from occurring. When can I shower after my surgery? You can shower the day after your surgery. Make sure to avoid touching or rubbing your earlobes excessively while bathing. My patients don’t usually express feeling pain after their surgery. Of course, everyone’s experience and pain tolerance are different. I can prescribe pain medication if necessary, however, if you’re feeling a lot of pain, it could be an indication that something is not normal. You should notify me if this happens to you. Is there a way to plump up the earlobes? With aging, the earlobes begin to sag. This is caused by the depletion of collagen and elastin levels. Earlobe reshaping can shorten saggy earlobes. However, you can also plump up your earlobes at the same time if you find them overly thin. You may choose two options to treat thin earlobes: fat transfer or injectable fillers. Fat transfer or fat grafting is a permanent method of augmenting the earlobes. Fat is taken from one part of your body, like your flanks, purified, then injected into your earlobes. It would be better to have this performed after your earlobe repair surgery, since you’ll want to see how your earlobes look first. Then, you can determine how much plumping should be done with fat transfer to achieve the results you want. Injectable fillers is a temporary method. The treatment involves injecting a product into your earlobes. The product is a smooth gel that is based on hyaluronic acid, a natural substance in your body. Results last a few months. If I get ear reshaping, does that include earlobe reshaping as well? If you’re looking to reshape your entire ear, then the earlobes would be included in ear reshaping surgery. Earlobe reshaping only treats the earlobes. I have refined my surgical techniques to make your experience a safe one, but you should also help by following the care instructions I'll give you before your surgery.